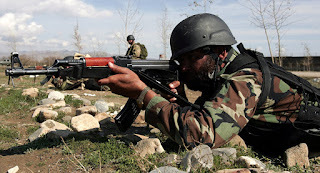 The SCO member states China, Kazakhstan, Kyrgyz Republic, Russia, Tajikistan, Uzbekistan, India and Pakistan will participate in a joint counter-terrorism exercise 'Sary-Arka-Antiterror 2019' to be held in the grasslands of Kazakhstan in the Sary Arka region. The decision to hold Sary-Arka-Antiterror 2019, the first joint military exercise of Shanghai Cooperation Organisation was announced at during the 34th meeting of the RATS council held in Tashkent, Uzbekistan. The meeting also announced holding of the first joint border operation- Solidarity 2019-2021. The Regional Anti-Terrorist Structure (RATS) of the Shanghai Cooperation Organization is a permanent organ which serves to promote cooperation of member states against three evils of terrorism, separatism and extremism. RATS established in June 2004 is engaged in furthering cooperation and ties between member countries on concerns of terrorism, security, drug trafficking, crime and cyber warfare. Strengthening mutual trust and neighbourliness among the member states. Promoting their effective cooperation in politics, trade, economy, research, technology and culture as well as in education, energy, transport, environmental protection, and other areas. Making joint efforts to maintain and ensure peace, security and stability in the region. Moving towards the establishment of a democratic, fair and rational new international political and economic order. The genesis of the SCO can be traced to the Shanghai Five mechanism created in 1996 of which the China, Kazakhstan, Kyrgyzstan, Russia and Tajikistan were members. Later Uzbekistan was admitted to the grouping. In 2001 the declaration of Shanghai Cooperation Organisation was signed. In 2015 India and Pakistan were admitted to the grouping and they joined the grouping officially in 2017. Q. Where will the Shanghai Cooperation Organisation member states hold the joint counter-terrorism exercise 'Sary-Arka-Antiterror 2019'?